Bill Krueger has come a long way from that skinny kid growing up in McMinnville, Oregon. With little fanfare, Bill entered the University of Portland on a basketball scholarship in 1975 and was a four-year starting guard. Sophomore year, he decided to turn out for baseball, and played three years of first base for the Pilots. After graduation, Bill hoped to extend his baseball career into the professional ranks, but had no takers in the 1980 amateur draft. Despite not pitching in college, he made a quick assent up the ranks, joining the Major Leagues with Oakland in April 1983. As a left-handed pitcher, Bill played for 13 seasons and was a member of the 1988 World Champion Los Angeles Dodgers. He won the American League Pitcher of the Month Award twice: July 1991 – Seattle Mariners and April 1992 – Minnesota Twins. 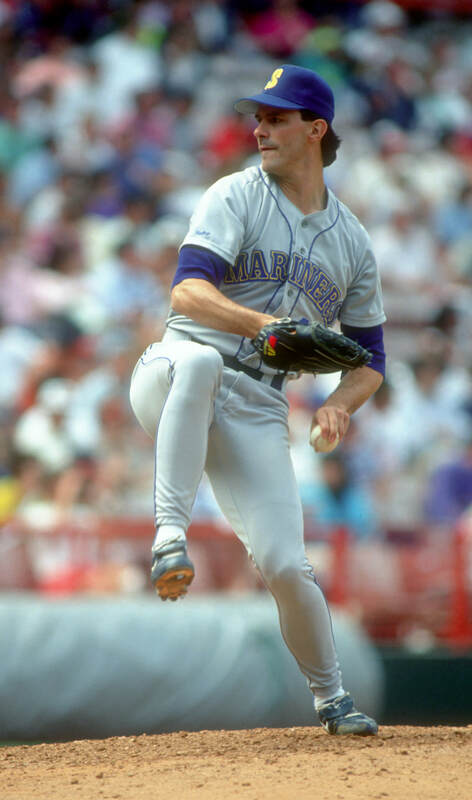 He played in Seattle in 1991, finishing with an 11-8 record, with a starting staff leading 3.60 ERA. Bill now shares his love of baseball as senior analyst for Seattle Mariner Baseball for Root Sports Northwest. Bill and his wife Jo, who are parents of a child with autism, were instrumental in establishing the Pacific Northwest Chapter of Cure Autism Now, a coalition of athletes, community leaders, board members, celebrities, and parents for private fundraising events and legislative lobbying activities. Today, Bill is the Strategic Relationship Officer for Northwest Center, a non-profit organization focused on supporting kids and adults of all abilities from every step of the way: Early Intervention and Early Learning, Employment and School-to-Work Transition services, and a Social Enterprise business model that creates jobs as it provides valuable services to customers. A spokesman on the powers of inclusion in the workplace, Bill advocates for hiring people with physical limitations or developmental delays—not as a compromise, but as a business advantage. Learn more about the Northwest Center Golf Classic, hosted by Bill Krueger on July 16, 2018.